KEY WEST, FLORIDA, February 9, 2017 – To help prevent the kind of seafood fraud that has plagued many American ports and cities from becoming an issue in their local community, the City of Key West, in conjunction with the commercial fisherman of the Florida Keys and the Three Hands Fish market, today announced that February 2017 will be known as Know Your Fisherman month. “For generations, our family of Florida Keys commercial fishermen has provided us and our many visitors with locally-caught Keys seafood that is so fresh it has made Key West one of the seafood capitals of the world,” said Key West Mayor Craig Cates. “All of us in Key West owe a great debt to our commercial fishermen. Our tourist income wouldn’t be what it is without them. As part of the Know Your Fisherman proclamation, the fishermen sponsors have also launched “Who Caught It?”, an innovative in-restaurant educational campaign. The campaign creates the expectation that if markets and restaurants are stating their seafood “fresh” and “local,” they should be able to answer a very simple question: Who Caught It? Local commercial fishermen are well-known by the restaurants they fish for. 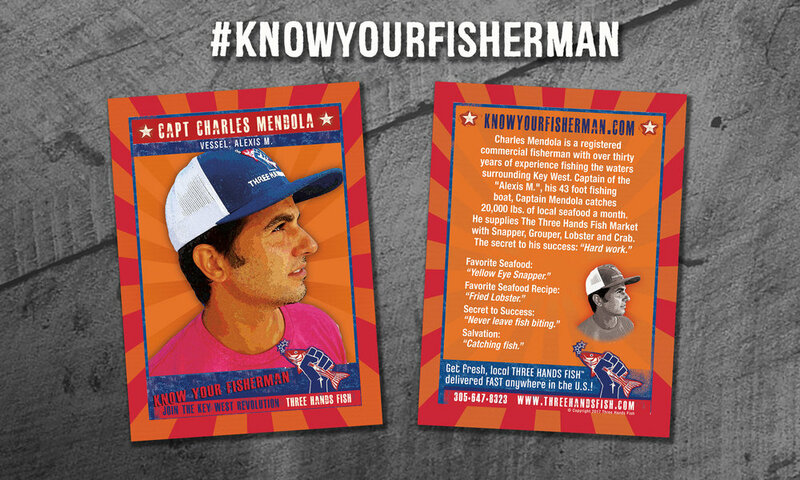 Participating restaurants and markets in the “Who Caught It?” campaign will not only answer the question, they will hand out a Florida Keys Commercial Fisherman “baseball-style” card to each restaurant customer. It’s a unique and innovative way to get to “know your fishermen”. A 2015 NOAA report concluded that 86% of the seafood consumed in the United States is imported, 50% of it coming from unregulated, unhygienic fish farms. 100% of it arrives frozen. 98% of all imported seafood is not inspected by the FDA. According to recent exposés published by the Boston Globe, New York Times, Tampa Bay Times, and Consumer Reports, it is this seafood that is appearing on the menus of restaurants and markets across the country under the guise of fresh, local, and American catch. 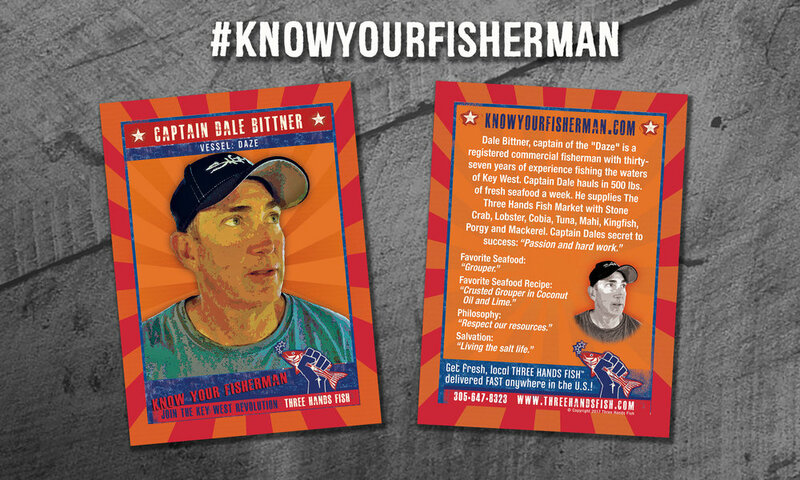 Get to “Know Your Fisherman” throughout February and beyond by asking restaurants and markets promoting “fresh” and “local” seafood “Who Caught It?” to receive your fisherman baseball card. Visit www.KnowYourFisherman.com to learn more about our commercial fishermen of the Florida Keys! For hi-res photography, click here. National Oceanic and Atmospheric Association (NOAA, 2015): "The U.S. imports up to 90 percent of its seafood, about half of which is aquaculture."